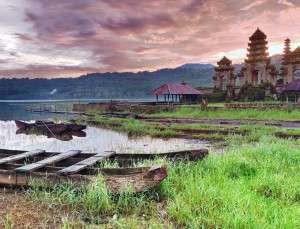 Private air charters in Bali-- Charter a private jet with Stratos Jet Charters and experience the Indonesian island like never before. Stratos Jets is a worldwide air charter agency that arranges domestic and international flights to incredible locales all over the world. When you contact Stratos Jets, one of our knowledgeable aviation consultants begins working for you immediately to arrange your private jet charter to Bali. Allow Stratos Jets to organize your Bali charter flight and gain access to their industry expertise to ensure a hassle-free and flawless private flight arrangement.Part of the Lesser Sunda Islands in Indonesia, Bali is home to most of the country's Hindu population and is renowned for its cultural arts including dance, scripture, leather, metalworking and music. Bali has a diverse ecology with over 280 species of birds, and the isle once had its own breed of tiger--the Bali Tiger--which is now distinct. The largest animals that remain on the island are the Wild Board and the Javan Rusa deer. The isle of Bali is also a habitat to several species of squirrels, monkeys and snakes, while the waters surrounding the land conceal gorgeous reefs that host a myriad of sea life, from giant manta rays and eels to sharks and barracuda.Once you've disembarked your private jet in Bali, head over to Amed Scuba Tauchzentrum where you can take scuba tours and explore the legendary reefs and sea life. If you aren't ready for a possible shark encounter, take a land tour with Sila's Bali Tours; be sure to occasionally look up toward the treetops to catch a glimpse of Bali's monkeys! 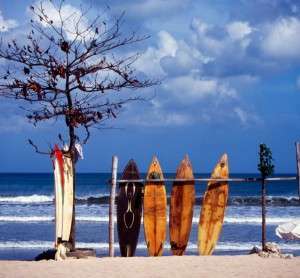 For adults and teenagers, Baruna Surf Culture offers surfing lessons, while Waterbom Waterpark is an adventure for all ages. After a day of playing and site seeing unwind at Tamarind Spa at Murni's Houses. Owned and operated by Murni herself, this calming domain is located under a canopy of Tamarind trees and is surrounded by peaceful gardens ensconced with exotic flowers and trickling fountains.Check in at Warwick Ibah Luxury Villas & Spa. Their exquisite villas are tucked away amongst frangipani trees and coconut palms and are furnished with teak wood floors and canopy beds. Enjoy breakfast on the terrace's luxe sofas or walk to the tea house for an authentic meal. If a resort villa just isn't big enough, rent out Villa Niloufar. This exclusive home is a different version of luxury: the contemporary design and modern technology brings you the best of both worlds, from a tropical day paradise to a sophisticated evening venue. The house is equipped with a media room complete with a DJ sound-system and a cinema. The 17-meter infinity pool is surrounded by padded lounge chairs and overlooks the buwit river. 20 staff members, including a personal driver, provide you with the service you expect and ensure an unforgettable Bali experience.Once you experience private aviation you'll never seek lesser travel methods. That's because when you charter a private jet to Bali with Stratos Jets you gain access to more private airports, select your own departure times, and skip lengthy security and customs lines while attaining increased personal security. Design customized on-board dining through our Stratos Jets catering menu and request an aircraft equipped with enhanced entertainment options like satellite radio and unlimited movies. With access to over 5,000 available private aircraft, a Stratos Jets air charter agent will help you determine the perfect private plane while facilitating transactions and ensuring a seamless charter flight planning process. Client satisfaction and passenger safety are vital components of Stratos Jets' business model. That's why we ensure that the aircraft and aircraft operator meet and exceed the standards set by the Federal Aviation Administration. In addition, a third party safety audit is conducted on every private charter flight arranged for our clients. We carefully screen all aircraft and aircraft operators through our in-house due-diligence safety program to ensure our clients fly on the safest, most well-maintained aircraft under the command of two highly trained and highly experienced pilots. Stratos Jets works only with Part 135 operators for private charters and Part 121/380 operators for group charter flights in Bali.Fly into (WADD) Bali International airport and have a phenomenal stay on the isle of Bali!